You want to send a valuable object to a friend& You have a box to send the object. You and your friend have several locks with keys. Butthe problem is that your friend does not have the key to any lock that you have, and vice versa. How do you do it? Attach a lock to the ring. Send it to her. She attaches her own lock and sends it back. You remove your lock and send it back to her. She removes her lock. 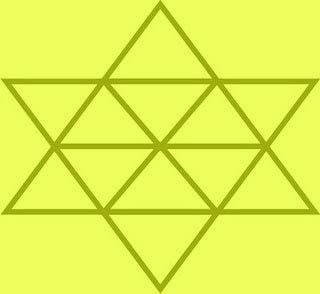 HOW MANY TRIANGLES ARE THERE IN THIS FOLLOWING FIGURE...?